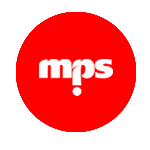 The Creative Studio at mps is a mixture of young and more experienced graphic designers. The perfect balance between new ideas, grounded by the experience that our agency is known for. It all starts with an idea. Each idea is then researched, twisted, turned, re-shaped, sketched, erased, dumped, re-sketched, flipped, questioned, developed, digitised, coloured, adapted, tested, adjusted, re-tested, presented, amended, presented again, and finally, possibly… implemented!